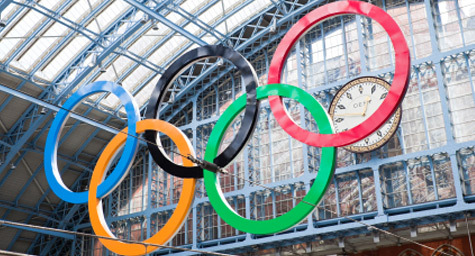 The International Olympic Committee and the city of London are working hard to prepare for the upcoming Olympics by taking a strict stand against unauthorized advertising. This effort to protect their advertising sponsors and partners has resulted in the most stringent event rules the advertising industry has ever encountered. Businessweek.com reported on the reasons, restrictions, and reactions. According to the tight rules, brands not directly affiliated with the event are prohibited from alluding in their advertising to athletic images, taglines, and symbols associated with the Olympics. These non-sponsors have also been warned about using the terms “2012” or “games” with Olympics-centic words such as medals, gold, silver, bronze, London, and summer. In addition, non-affiliated business establishments in the proximity of Olympic Park are banned from hanging additional signage or handing out advertising materials to passersby. To ensure that those not officially associated with the games do not advertise, approximately 250 enforcement officers will police the areas near Olympic events. Violating any of these rules carries fines up to 20,000 pounds. Not surprisingly, some crafty companies have come up with ways to sneak around the advertising rules. Two non-sponsors, Virgin Media and Puma, have seen major sales boosts from their ongoing alliances with Olympic 100-meter champion and world record holder, Usain Bolt. Competitors of both companies are official Olympic sponsors. A few other brands have developed more general advertising campaigns focused on simultaneous British events or their summertime merchandise. As many non-affiliated companies express their outrage over such strict regulations, advertising firms believe that local businesses are entitled to benefit from their city’s association with the Olympics and should simply be more creative with their advertising methods. To discover the latest ways to use advertising to capture your audience’s attention, contact MDG Advertising today at 561-338-7797 or visit mdgadvertising.com.